With a lounger and 5 seats, the shell is Soft Touch Slip Resistant Fortiflex™ HDPE and the cabinet is zero maintenance Vikashield™. 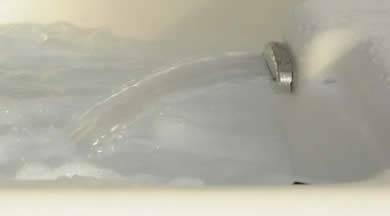 The spa has 31 stainless steel jets with storm jet technology, LED perimeter lighting, waterfall feature and a 2 speed 2hp pump. The Royale is a spin off of the Supreme, but we’ve added a little sizzle. Imagine 31 Jets, crowned in Stainless Steel Accents, for a touch of Royalty. Powered by Waterway’s top of the line pump, like in the Supreme, the Executive Series 56-Frame Pump, delivers one of the industry’s most outstanding hydrotherapy experiences imaginable. We’ve lit this model up with 24-brilliant points of LED Lights for an unbelievable nighttime hot water experience. Wash your cares away as you relax under the gentle flow of hot water from the Cascading Waterfall. Truly a regal treatment awaits you in the Viking Royale! The Royale spa is the flagship spa of the Viking line of innovative spas. 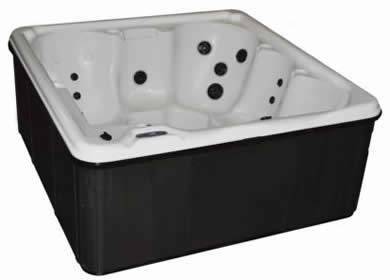 The spa for every family budget … With it’s roomy 5 to 6 person seating, lounger and Vikysage seating it is truly an exceptional value in the Viking “Affordable Hydrotherapy Experience”. Examine the features: Assorted adjustable and pulsator jets strategically located to comfort and soothe every part of your body. An oversized pump which creates exceptional hydrotherapy action and colored mood lighting for complete healing and relaxation of the mind and body. You deserve to own a Viking Royale spa! 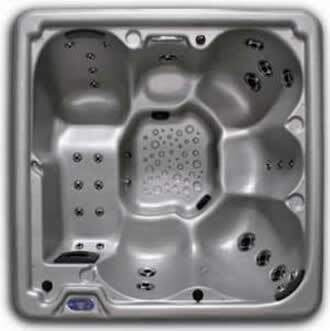 The Royale spa does not take up any more space than the Viking I or II yet offers much more! A lounger, a bench, most of all, lots of jets to massage every part of your body. All Viking Spas use the industry’s finest components with uncompromising production methods and quality control standards. If it’s value that you want for your hard earned money, the Royale spa is it! It is truly the spa with the “Affordable Hydrotherapy Experience” features. Check it out for yourself!